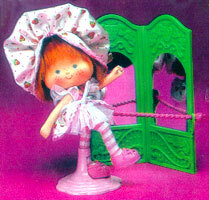 "The Sweetest Girl In Town!" 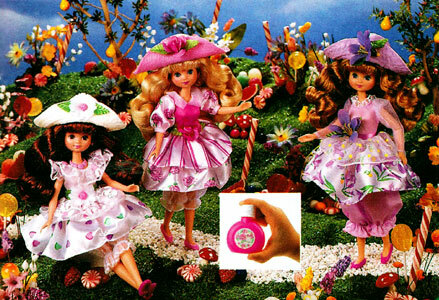 Lil Lollypops and Sweetie Pops (plus others) are names for the same set of dolls, depending on what country they were released in. 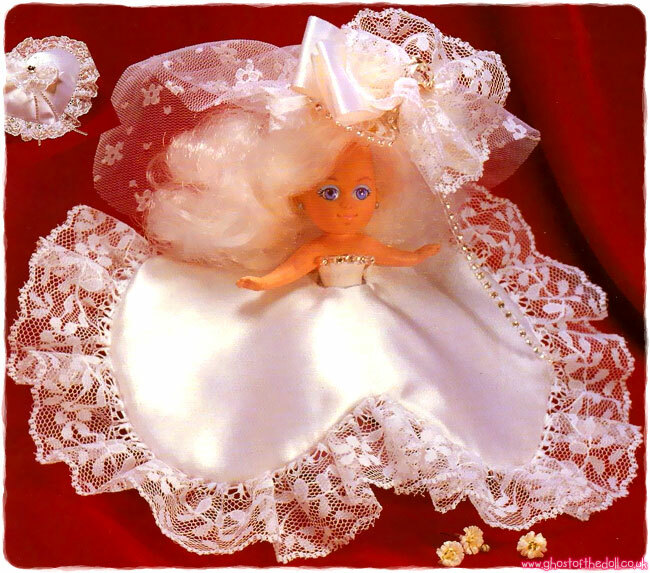 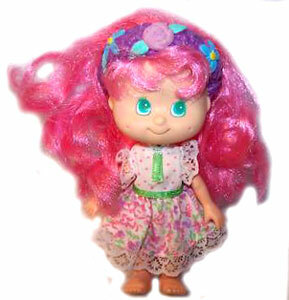 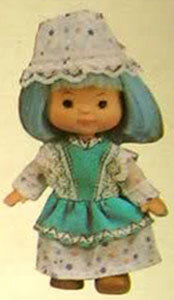 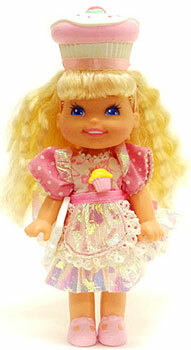 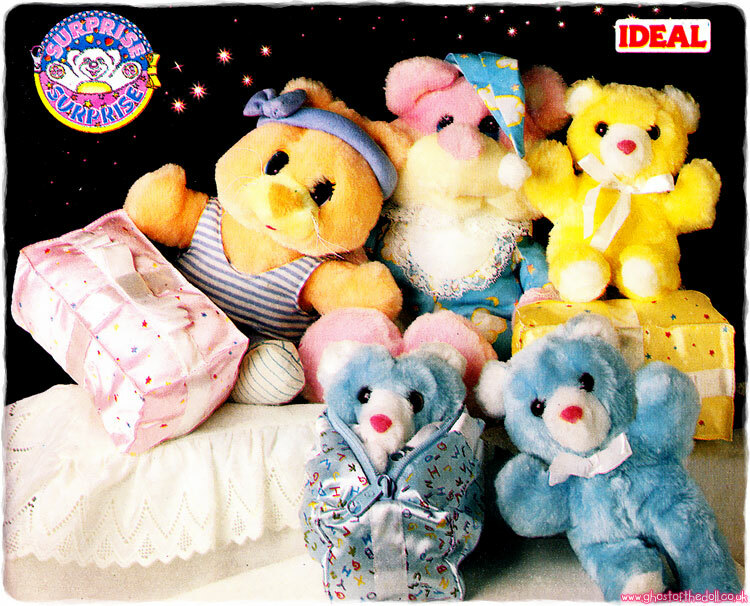 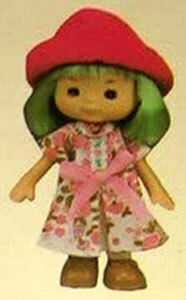 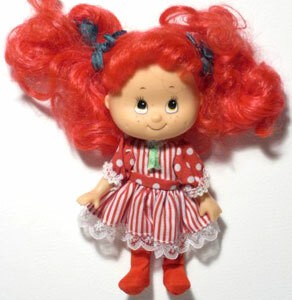 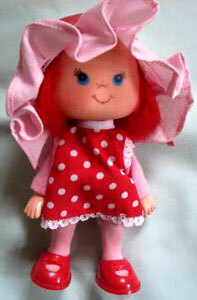 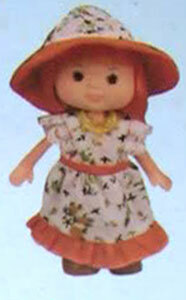 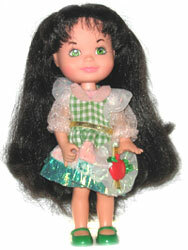 They were a series of six scented dolls, very similar to Strawberry Shortcake, produced in the early 1980's. 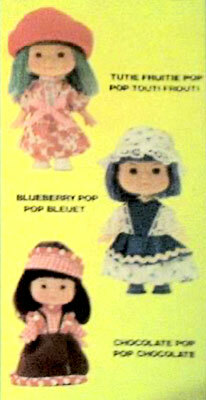 Lil Lollypops were produced by Dynatoy for the Canadian market, but they were also sold in the US without any manufacturers marks on the packaging (but may have been made by AG Toys). 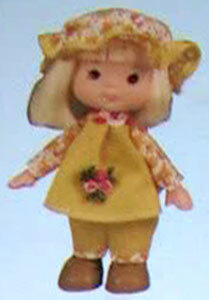 Daisy Dolls and Sweetie Pops have no marks either. 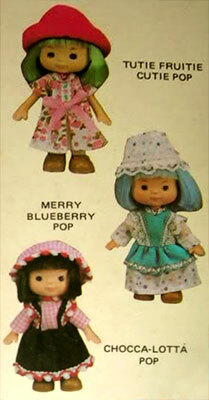 Just to confuse things even more, there is a totally unrelated series of dolls also called Sweetie Pops produced by Playskool in 1986. 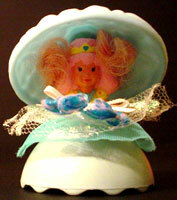 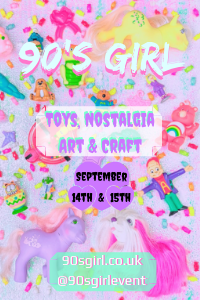 Images on this page thanks to Heidi, eBay seller R-MANTIQUES and Photobucket member frenchfantasy! 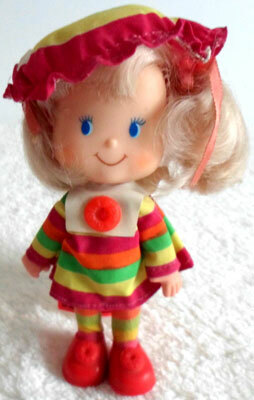 View all Lil Lollypops etc. 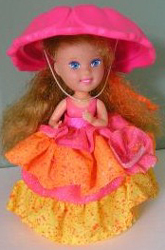 on eBay.com or eBay.co.uk ! 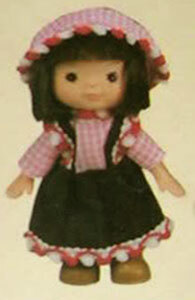 There were six dolls produced, no matter what company produced them. 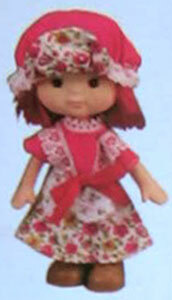 Each doll came with a hat, dress, tights and shoes and were scented like their names. 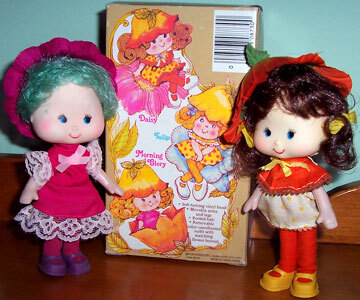 Below is a list of the names for each doll in the three guises they came in, plus packaging images for comparison.